Twice a year, our teams around the world come together for a day of service we call #TwitterForGood Day. Since Twitter's inception, giving back to our communities has been an integral part of our culture. From NGO training workshops in Dublin, volunteering with the Red Cross in Tokyo, to hosting a sport challenge with the Center for Addiction and Mental Health Sport Challenge in Toronto, these service days celebrate our partner organizations and inspire us continue giving back all year long. Below are some highlights from our recent series of #TwitterForGood Days. For more on how Twitter employees and our partners spent the day, check out this Moment. @TwitterAU spent the day with Oz Harvest, an organization dedicated to food rescue through collecting quality excess food from commercial outlets and delivering it directly to more than 1,000 charities supporting people in need across the country. Through ‘Cook for a Cause’ Twitter employees created hundred of meals using rescued food that otherwise would have been destined for landfills. In Bangalore, @TwitterIndia spent the day with Desire Society, a non-profit voluntary organisation which works to improve the lives of people struggling with the impact of the HIV/AIDS pandemic, especially children and women. The team organized activities for children and hosted a Twitter 101 workshop. @TwitterSG volunteered at the Willing Hearts Soup Kitchen, to prepare and pack meals for the needy in our community; and also volunteered with SPCA Singapore to clean and maintain animal shelters. In addition, Twitter employees joined together to conduct a series of personalised Twitter 101 workshops for NGOs in Singapore, such as with Transient Workers Count Too. @TwitterJP visited a welfare center run by Japanese Red Cross Society to spend time with elderly people who rely on the center for support. The team spent time chatting and playing games with residents. Other volunteers also spent time with the Tokyo Suicide Prevention Center, our partner for #WeHearYou campaign to raise awareness of services available to individuals considering suicide. Twitter employees had the opportunity to hear about the experiences of those dealing with such thoughts and how to best support them. @TwitterKorea spent the day volunteering with the Korean Red Cross, baking and serving bread for the Jongno Community Service Center. The team also partcipated in a session on emergency relief activities and discussed the organization's close partnership with Twitter. @TwitterDublin voted to support the Peter McVerry Trust as its 2018 Charity of the Year. Our Dublin office is aiming to raise €8,000 throughout 2018 to fund a #HomeForGood for a family or individual that is living rough in the city. Twitter employees hit the pavement to sell badges and to promote the charity’s use of social media to shine a light on the plight of those in Dublin who live without a home. This year, Ireland has experienced particularly adverse weather conditions which have depleted ability of homeless charities to provide vital services. Tweeps packed 1,000 care kits on #TwitterForGood Day to be distributed to homeless shelters across the city. The Reusing Dublin app is a platform for Peter McVerry Trust to map and track vacant and derelict property. Tweeps will be using the app around the nearby area, logging any vacant buildings that could possibly be refurbished and used for housing. This app was launched in Dublin in March by Twitter co-founder @biz. @TwitterUK spent the week in the lead up to #TwitterForGood Day hosting events with partner organizations dedicated to important causes. Jonny Benjamin MBE and Natasha Devon joined the team to discuss the importance of mental health, and they also heard from poet Hussain Manawer on his approach to mental well being. They hosted afternoon iTea with Age UK, where local pensioners stopped by the office for help with their tech gear, and held a bake sale with proceeds going to CALM (Campaign Against Living Miserably). @TwitterEspana collaborated with @Click That Matters, an independent foundation that promotes the Digitalization of the Third Sector through collaboration with different entities. The entity benefited by the agreement was @Deporte para DCA, an NGO / Sports Club that performs physical-sports activities aimed at people with neurological damage (acquired brain damage). After a lunch and a workshop -in which both DCA members and Twitter employees participated- to gain insight on different realities, the day closed with an indoor physical activity in order to promote sport as an engine of social integration and improvement of physical-mental capabilities. 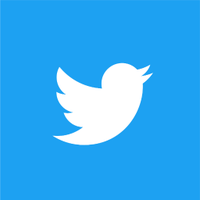 @TwitterFrance pursued its commitment to freedom of the press and further strengthened their longtime relationship with Reporters without Borders. The team helped the NGO with their press freedom albums delivery, dealing with storage, inventory, and preparing the pending albums’ order and shipping. These artefacts are very important for Reporters without Borders as they represent a significant funding opportunity for the NGO and are a way to increase attention of the public and media on critical issues of press freedom. They can be ordered at Reporters sans frontières. @TwitterBoulder continued our partnership with Wish for Wheels, which provides bikes to underprivileged kids. Twitter employees built and delivered bikes to students, and donated an additional $1,000 to the school's foundation which provides funding for school programs, activities, and equipment for the Alicia Sanchez International School. Throughout the last years, Twitter Boulder has raised $7,200 from internal employees to purchase the bikes for an entire first grade class. @TwitterLA continued our partnership with The People Concern in Santa Monica, preparing cooking, and serving a meal at a few of their interim housing facilities. The office also hosted a drive for some of the major goods and supplies they need to help their guests and their outreach team. Miami Twitter employees organized a shoreline cleanup with Volunteer Cleanup, an organization that brings people together to clean up their neighborhoods, shorelines, and waterways as a way to raise awareness about marine debris and encourage people to reduce their reliance on single-use plastics. Volunteers at @TwitterSF spent some time with Miracle Messages, an organization which seeks to end homelessness by rebuilding social support systems. Miracle Messages reconnects the homeless with their loved ones (and us) through short video and audio messages, social media, and local volunteers. To date, our volunteers have facilitated 114 reunions, with nearly 25% resulting in getting a client off-the-streets and 90% in a positive outcome, all at a fraction of the cost of current government programs. Founder Kevin F. Adler started Miracle Messages in honor of his uncle, who lived on-and-off the streets for 30 years. A group of volunteers in San Francisco helped Curry Senior Center transform their dining room into the perfect prom setting, complete with old-school crooner, dance floor, food bars, raffles and games. With the help of donors, seniors received prom-attire, prior to the event. Promoting wellness, dignity and independence for seniors, Curry Senior Center has been a leader and a lifeline to seniors for more than 45 years. Right in their own neighborhood, seniors can easily access a wide range of essential services through Curry, including health care and housing. @TwitterCanada in Toronto hosted GEM Girls as a part of their mentorship program for high school girls facing socioeconomic barriers. The girls took a tour of the office and met with Twitter employees for an interactive skills development workshop. A team of Tweeps visited the Furniture Bank showroom in southwest Toronto to helping this social enterprise bring change to its clients. We helped clients select home furnishings, aided restoring kitchen furniture and discussed ideas for potential awareness programs with the organization’s management. In partnership with The Centre for Addiction and Mental Health (CAMH), Canada's largest mental health teaching hospital and one of the world's leading research centres in its field, employees participated in the sports challenge to provide CAMH patients with an opportunity to experience the fun and enjoyment of participating in organized sporting events, especially as teammates with corporate volunteers. In partnership with DC Central Kitchen, @TwitterDC prepared meals which were delivered at little or no cost to 80 nearby homeless shelters, transitional homes, and nonprofit organizations, saving them money and nourishing their clients. @TwitterMexico painted dormitories for homeless youth center and helped with other minor repairs in partnership with Fundación Renacer. They also volunteered at a Albergue Adopta un Amigo dog shelter, organizing a Twitter campaign to adopt homeless dogs. Employees in São Paulo spent some quality time with José Operário, a nonprofit which helps children and teenagers from 4 to 16 years old, who are not currently in school, and may have difficult family situations. Other team members visited Reciclázaro, an organization that helps improve the quality of life for elderly men, most of whom were formerly homeless. Over the years as #TwitterForGood Day has grown, Twitter employees have been inspired to take on their own volunteering efforts and reminds us about the importance of community, philanthropy and action. From the Neighbor Nest in San Francisco to every volunteer project around the world, #TwitterForGood Day serves as a day to celebrate the people around us, give back to our communities, and build connections to make the world a better place.